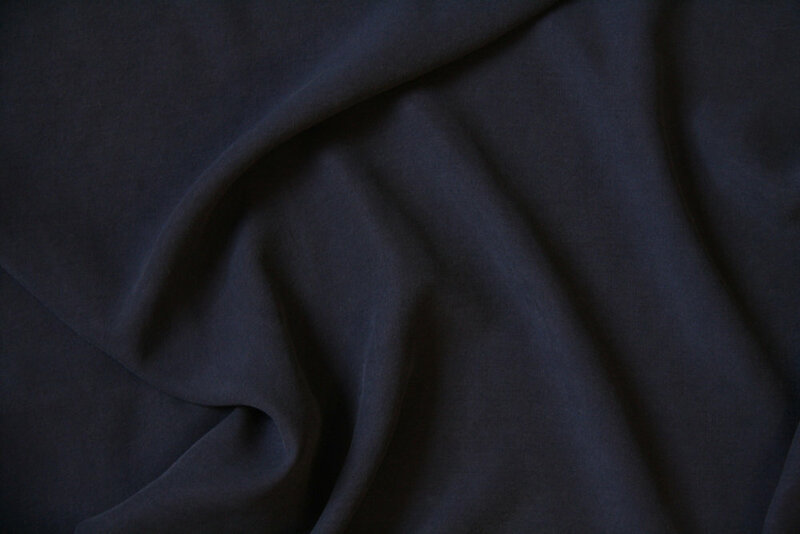 About: Enzyme washed tencel twill is a natural man-made fiber. Created from cellulose found in wood pulp from responsibly grown forests, tencel is a biodegradable, super sleek, machine washable alternative to silk. It's easily the softest, most breathable fiber we work with. The fiber is made using a close-looped system, meaning 99% of the chemicals and solvents used in breaking down wood pulp are recycled and reused, causing less emissions and waste. Tencel uses pulp from eucalyptus trees, which don't rely on irrigation or pesticides, resulting in less water and land usage than conventional cotton. For more on this wonder fiber, click here. Enzyme washing is a process that breaks fibers down to a silky texture and sheen. Enzyme washing is an environmentally friendly alternative to stone washing, which can require toxic chemicals and excess waste. Care: Machine wash cool on gentle cycle with like colors, tumble dry low heat or hang to dry. Natural detergent is recommended. Iron on low heat. Do not use fabric softeners when washing tencel, as they might stain the fabric.